Volkswagen already faces a raft of 34 federal lawsuits from people claiming their cars are less valuable due to its emission testing scandal. The automaker's executives have admitted its diesel cars had software that cheated on U.S. and California emission tests. The cars would only turn on the top emission controls when they were being tested, and then dump 40 times the allowed level of a pollutant known as nitrogen oxide into the air when they were on the road. The EPA and California regulators revealed the problem midday Friday and the first case was filed in San Francisco just hours later. 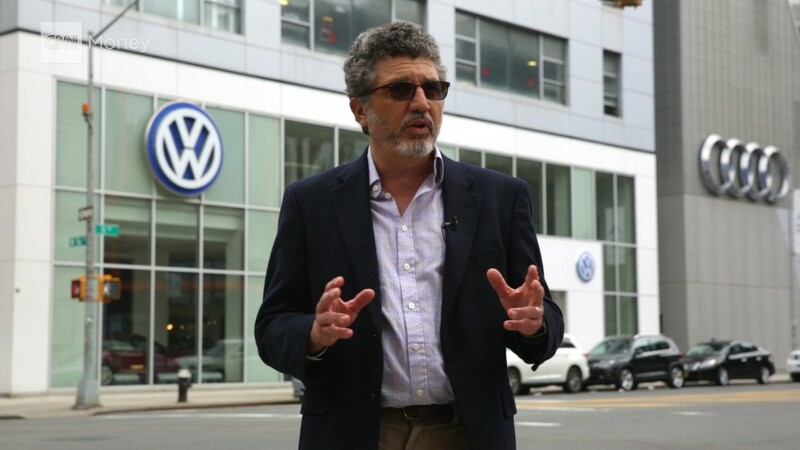 Since then attorneys from around the country have rushed to file cases seeking to be declared the main class action case on behalf of Volkswagen owners. Even though there are no accidents or injuries related to the case, the car owners argue that the resale value of their cars have been hurt by the deceptive practices. And that can be costly. Toyota agreed to pay car owners $1.1 billion in a federal class action suit related to the loss of resale value of cars that suffered from unintended acceleration. There are nearly 500,000 of the affected cars on U.S. roads and 11 million cars worldwide. Volkswagen (VLKAY) also has to worry about possible criminal charges. New York Attorney General Eric Schneiderman said Tuesday that his office has launched a criminal investigation, and that he's working with other state attorneys general on the matter. A federal probe is also likely. Automakers can face huge criminal fines simply for not properly reporting information to regulators. Just last week General Motors (GM) reached a settlement with the Justice Department to pay $900 million because its executives failed to report problems with a faulty ignition switch that has since been tied to 124 deaths. Last year Toyota agreed to pay $1.2 billion to settle criminal charges its employees didn't notify authorities about reports of unintended acceleration of its cars.